Somali government officials, international development partners, and civil society organizations engaged in humanitarian operations in Somalia met at the African Union Summit to lobby African leaders to approve massive debt cancellation for war-ravaged Somalia. 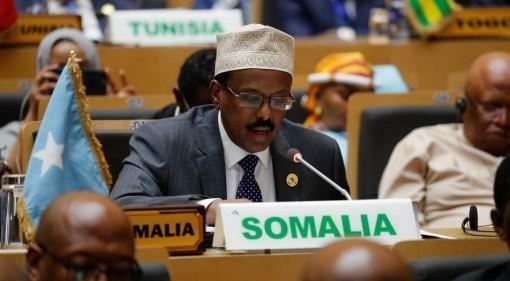 The Somalia Non-Governmental Organisation (NGO) Consortium, comprising international civil society organizations and government officials met during a high-level event at the AU heads of state summit to voice calls for the debt cancellation for Somalia. They say this would enable the Horn of the African nation to rebuild its war-torn infrastructure and work on resettling millions of people uprooted by conflict. 'Somalia requires cooperation because the debt cancelation would help us to ignite our national development plan,' Gamal Hassan, Somalia's Minister of Planning, Investment and Economy, said. 'We will need to mobilize political actors to give debt cancellation to Somalia. We welcome the selection of this year's theme on the search for durable solutions to the issue of forced displacements. We believe the resolution of our debt issue could allow more resources to be channeled to the displaced,' Awad said. To qualify for the debt cancellation, Somalia needs to convince the IMF, which would possibly convene its board of directors to review the country's progress.